Avanzia Taxand is exclusively Taxand Malta. 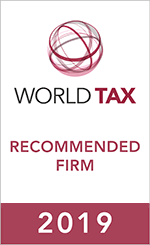 Taxand is the world's largest independent tax organisation offering practical, expert-led advice. Avanzia Taxand can help turn your tax challenges into strategic solutions that will work for you and your business. International surveys have consistently ranked the firm very highly. Avanzia Taxand is the leading tax firm in Malta and was named 'Malta Tax Firm of the Year' by the International Tax Review in 2009, 2013 and 2016. In 2011, 2014, 2015, 2016 and 2018 it was named Malta Tax Firm of the Year by Corporate International.